When I say the name Millen, what is the first image that comes into your head? A Red Bull Pontiac Solstice sliding its way to drifting victory? Or a wild Toyota hill climb car clawing its way up Pikes Peak mountain? 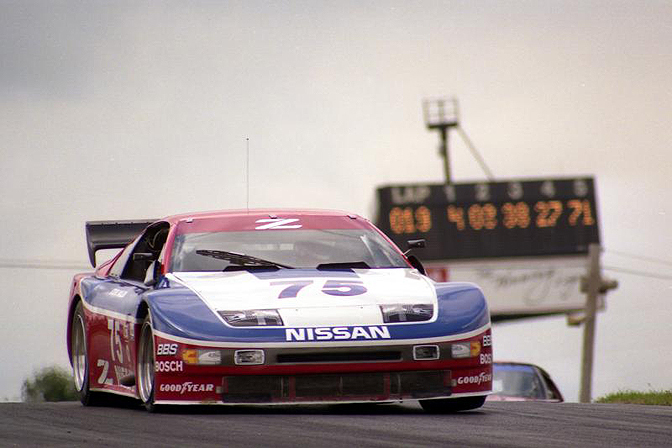 Or… do you think of Nissan 300ZX road race cars winning everything in sight? Rhys Millen's relationship with his father, the king of Pike Peak, Rod Millen is reasonably well known in Speedhunters circles, but perhaps less documented is the racing lineage to his uncle, Steve Millen. 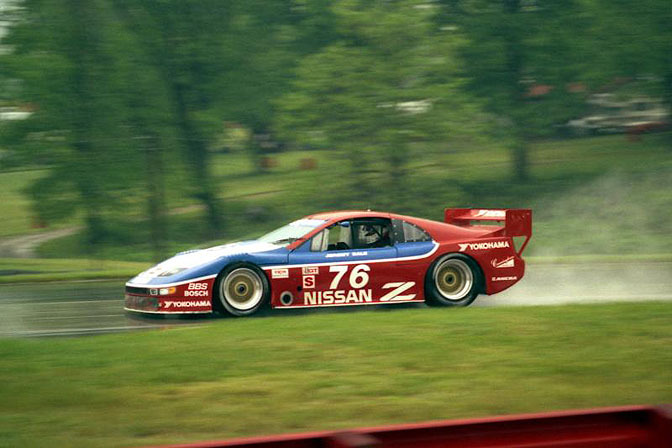 In the early to mid 1990s, Millen was quite unbeatable in US GT racing with his Cunningham Racing Nissan 300ZX Twin Turbo race car. And this brings us to the subject of our retrospective article today…. 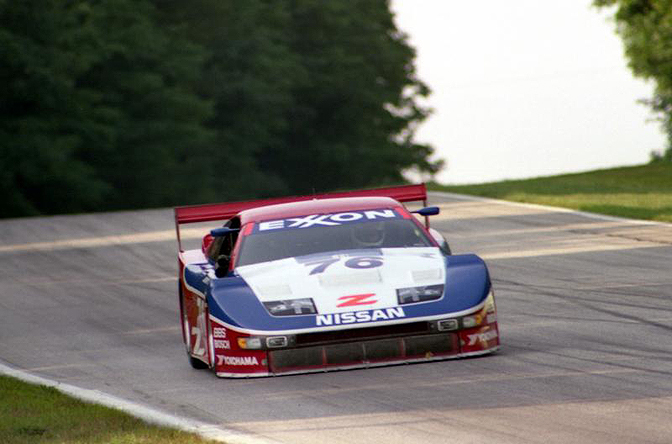 IMSA GT racing was fiercely competitive in the late 1980s. The 1988 GTO championship was fought between the RWD AAR Toyota Celicas against the turbocharged Roush Racing XR4Tis. 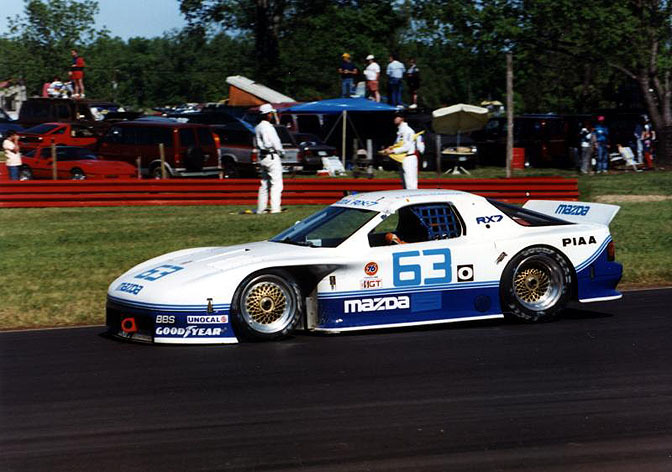 Scott Pruett end up taking the driver's championship at the wheel of the Mac Tools sponsored Ford Sierr..err… Merkur. The 1989 championship was looking to be a good one. Not only was Nissan going to debut its new twin turbo 300ZX race car, but Audi was also coming out to play with a brand new machine. 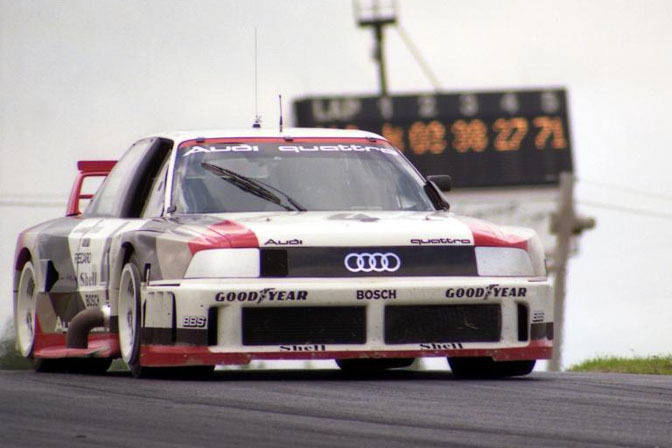 Fresh from winning the 1988 Trans Am championship, Audi had designed a brand new car specifically for IMSA; the infamous 90 Quattro GTO. Packed full of recently banned Group B rally technology, the car also had some seriously legendary names at the wheel: Hans Stuck, Hurley Haywood, Scott Goodyear and Walter Rohrl. Reigning champions Roush Racing stepped up to the plate with an updated car. Their successful road race chassis were cloaked with new bodies; Mercury Cougars if you can believe that… and fitted with some trusty 6.0L V8 power.. when in doubt go with displacement huh? 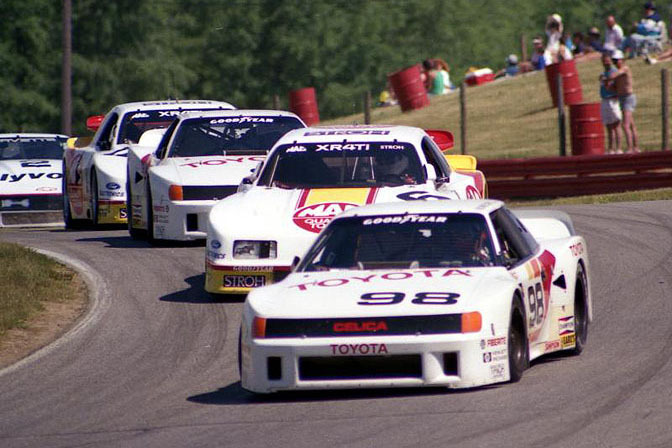 Driving chores were taken up by Pete Halsmer and Wally Dallenbach Jr.
For the 1989 IMSA season, Toyota vacated the GTO class to try their hand at the top GTP catagory. 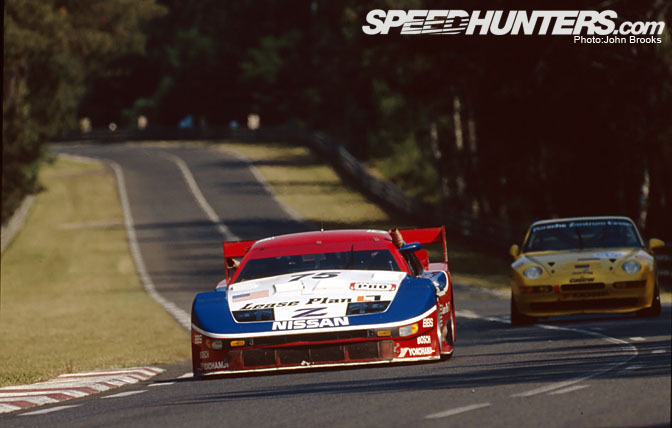 Their Japanese rivals, Nissan had already mastered the prototype class and extended their American racing campaign by entering two 300ZX cars in the GTO class. Campaigned by Clayton Cunningham racing, the 1200kg tube chassis racer was powered by a 24 valve, 3 liter V6 VG type engine, boosted by two Garrett turbochargers. 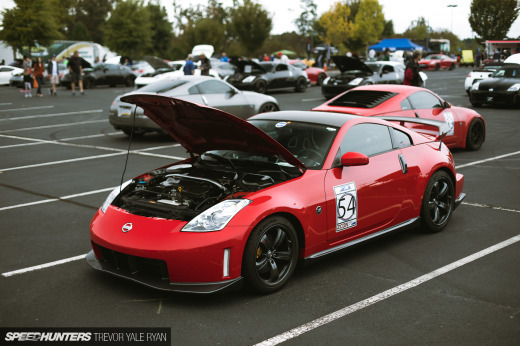 The Z32 styled racer was reported to develop between 650bhp and 750bhp. 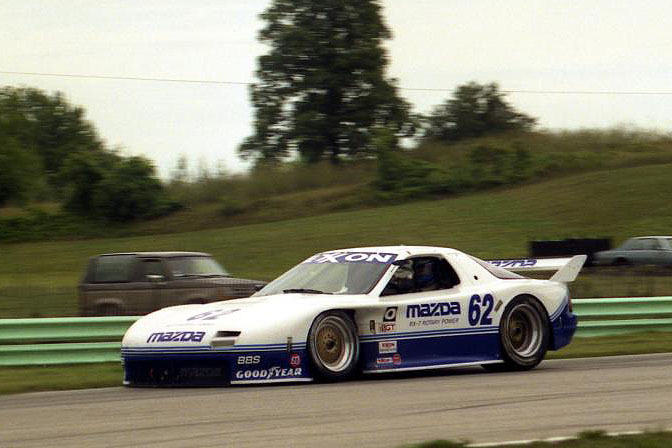 The 300ZX's first success came at Mid Ohio in 1989 where John Morton managed to take third place behind the Cougar XR7 of Wally Dallenbach Jr and the winning Audi 80 of Hans Stuck. Unfortunately this set the pattern for the car's first season; it played second fiddle to the Audi-Roush battle for the rest of the year. At the end of the year, it was Pete Halsmer who took the Championship for the Roush Mercury team. For the 1990 racing season, Audi disappeared back to Germany, but a new contender was already waiting in the wings: Mazda Motorsports and their new GTO spec RX7 FC. They wasted no time and signed up the reigning champion, Pete Halsmer and veteran driver, Elliot Forbes-Robinson. Quite a beautiful car no? 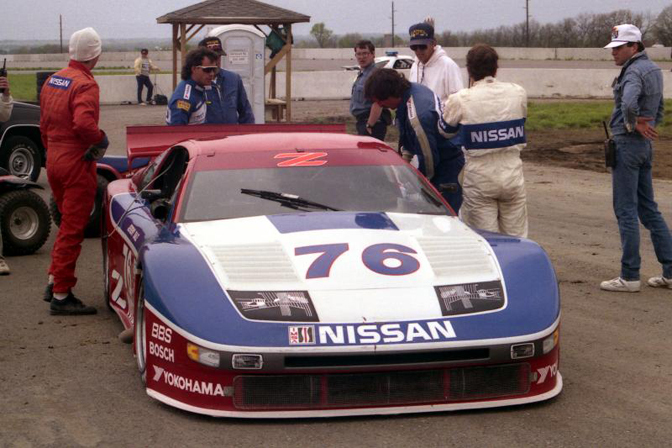 Pictured at Topeka in 1990, the 300ZX race had evolved into a serious racing winning car. 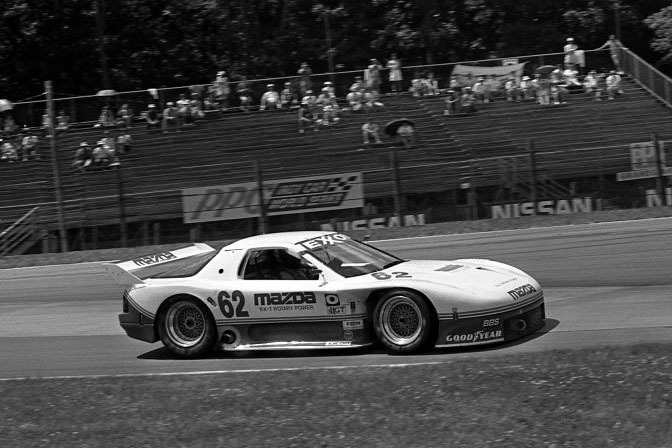 Millen took three overall GTO victories that year: Miami, Mosport, and Road America. Unfortunately his points total was only enough to net 4th in the driver's championship, behind the two Mercury Cougars and Halsmer's RX7. The 1990 champion was a young Robbie Gordon. When I look through the IMSA results tables I see Millen's team mate, Canadian Jeremy Dale, retired on the 7th lap of the IMSA GT race at Topeka in 1990. It appears that Mark Windecker was there to capture that moment on film… poor guy… He looks devastated! 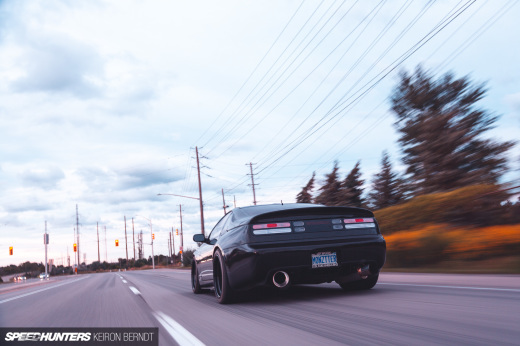 Roll on to 1991 and the 300ZX continued to gain competitiveness. The results tables show a straight fight between Mazda, Ford and Nissan at the front of the grids. Millen won Long Beach, Road America, Watkins Glen and Lime Rock with Dale taking the spoils at Mid Ohio. Unfortunately this was not enough to keep Pete Halsmer's factory RX7 at bay. 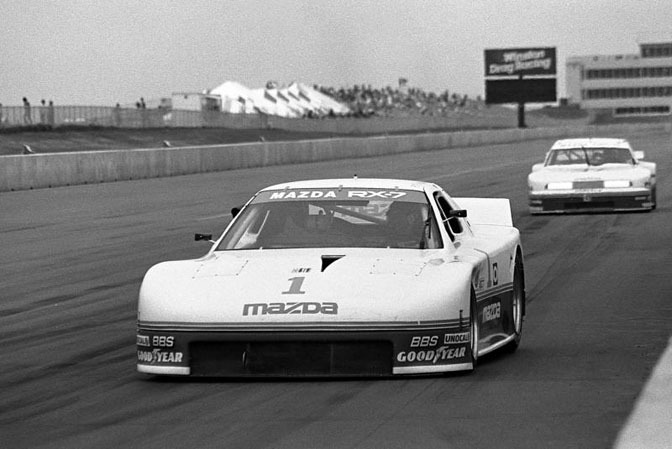 The Mazda driver won at Palm Beach, Miami, Mosport, New Orleans, Laguna Seca and rarely finished off the GTO podium in '91. By season's end, he was champion elect once again with Roush Ford driver Robbie Gordon in 2nd and fellow Mazda driver Price Cobb in third. Dale ended up in fourth, with Millen holding down fifth. Inconsistent results really hurt Millen's campaign that year. 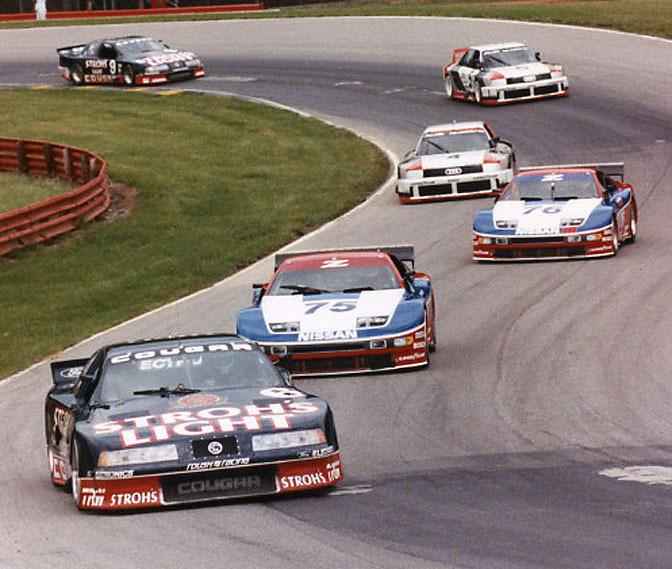 For 1992 Mazda pulled out of IMSA GT racing and Cunningham Motorsports were left with the Roush Racing Mustangs and the Rockensports Racing Olds Cutlass' as their key rivals in the newly created GTS category. This was a year to remember for Steve Millen. He won at Miami, Mosport, Mid Ohio, New Orleans, and Lime Rock Park and took the overall IMSA GTS Championshiop. 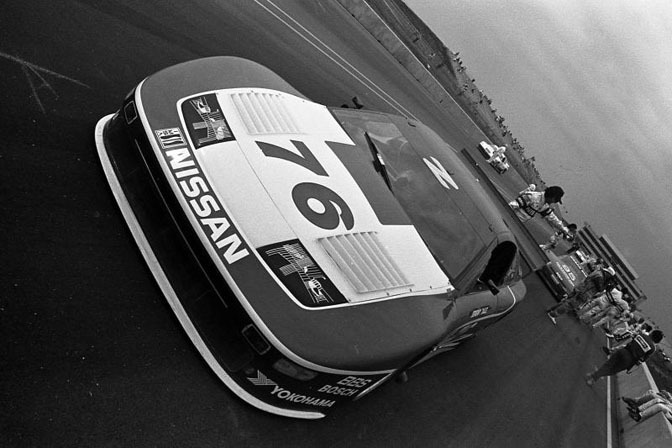 Nissan also won the manufacturers title for the first time too. A new team mate was signed to partner Steve Millen for the '93 season: a certain Johnny O'Connell. 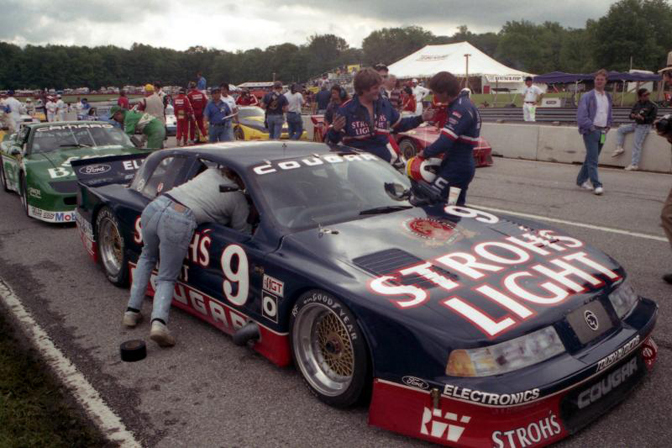 Pictured here at Road America, he was instantly on the pace and won at Laguna Seca. 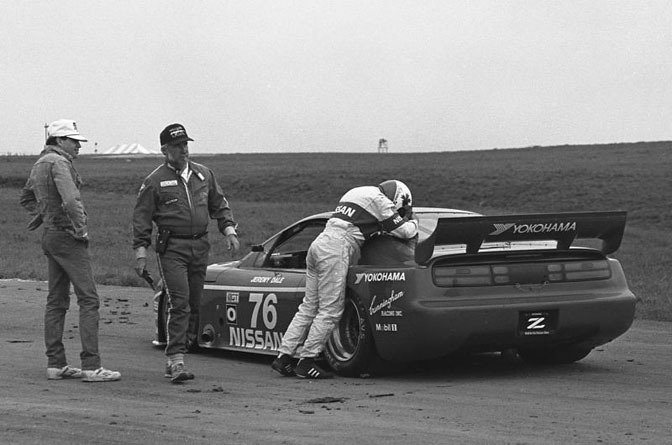 The team also look top GTS honours at the Sebring 12 hours, but overall it was a tough season, as Steve was sidelined for the rest of the year from a racing accident at Watkins Glen, on June 26th 1993. 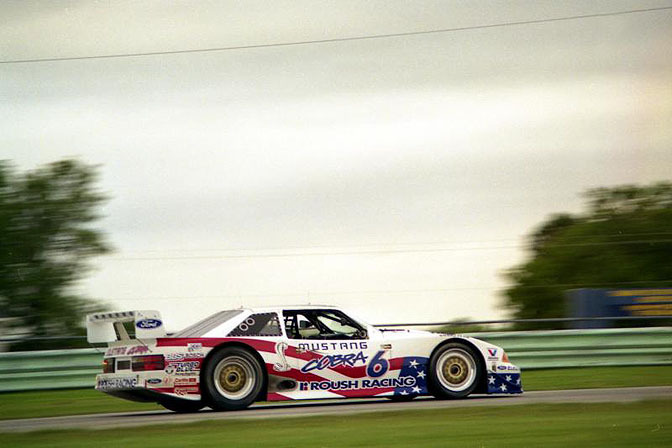 The overall 1993 IMSA GTS championship went to the Tom Kendall Roush Racing Mustang…. 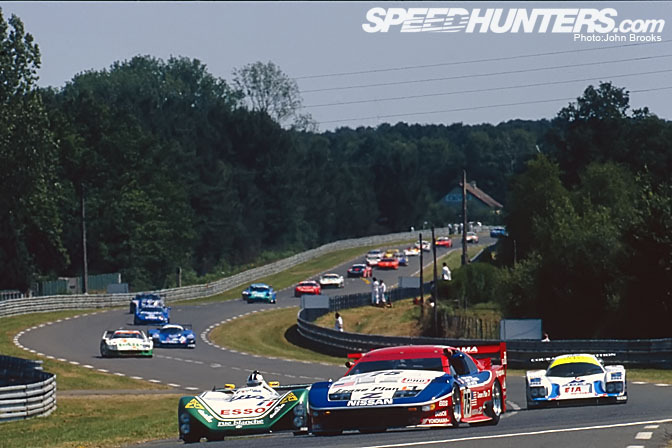 Such was the competitiveness of the 1994 car, that IMSA banned their twin turbo engine. 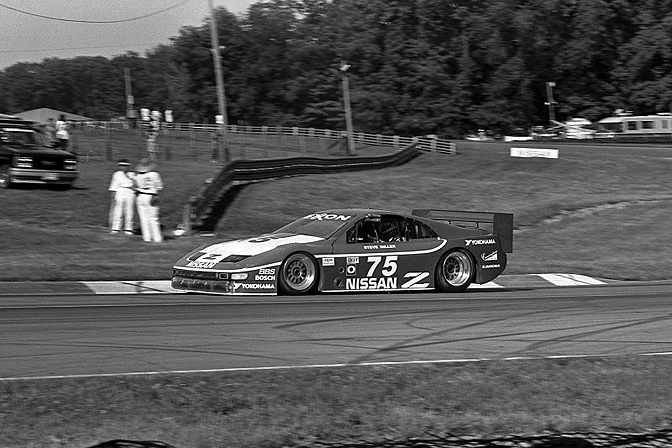 Nissan answered this challenge by developing a V8 engine for the 1995 season but it was all for nought when Steven Millen suffered career-ending accident at Road Atlanta. 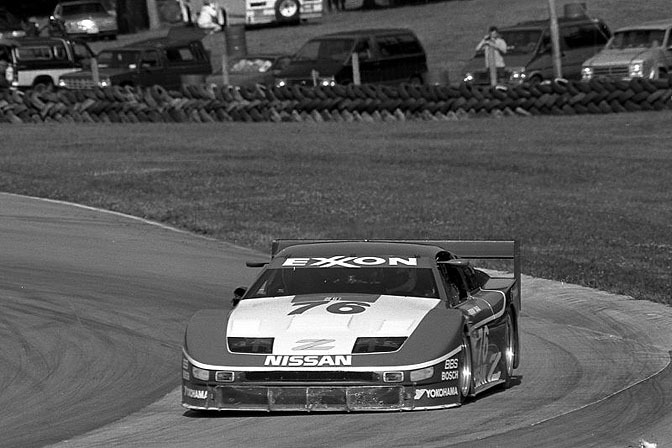 The program scraped along without him to the end of the season but by year end it was curtains for the Cunningham Racing 300ZX. Another round of thanks to Mark Windecker for access to his photo archive! I love these photos.This was a great era for motorsports. Damn, I need to dig up footage from this era. It was from well before I cared about cars. What's with the wheels on that Audi? Actually, Steve Millen is the first thing that comes to my mind when you say Millen, but for a different reason. When I first started getting into cars in the late '90s, I remember reading MotorTrend and seeing ads for and reviews os Stillen tuning products. I remember Stillen even came out with a supercharger system for the Nissan Pathfinder SUV! Anyway, is this the same Steve Millen? That first shoot remembered me, please made something talking about the Porsche 924,944,928,968 racing versions! Tube frame chassis , under a wide body , rollin' on wide tyres , powered by a monster turbo engine , making a devasting noise....hey that's real life ! I feel very old suddenly. wow, phenomenal shots, theres alot of history here. 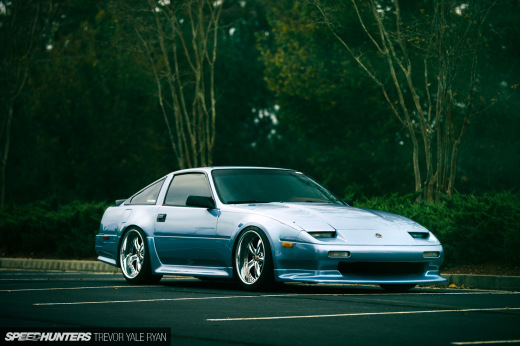 Out of curiosity does anyone know if the widebody kit for the 300zx is still sold now? I know mariah motorsports sells one for the 1st and 2nd gen rx7s. I like these history lessons. I didn't know Msutangs and Cougars raced in this type of racing. It's a bummer this style of racing is gone. I do like the touring car racing where the cars look like what I could race on track days. Best article yet. I'm on the site 30 times a day. I went to the Roush museum a few years back in Michigan and he had some of these cars on display. Crazy the different types of racing they were in at one point. This is were I hope to have GR in the future. I would like to see Speedhunters do an article on the Roush museum, hit me up and we can meet out there. Oh you should do it before they are out of business. What a post! I remember being awestruck by this car when I was a kid! Great write up guys the last half hour of work was a breeze thanks !! Steve Millen and Rod Millen are related? 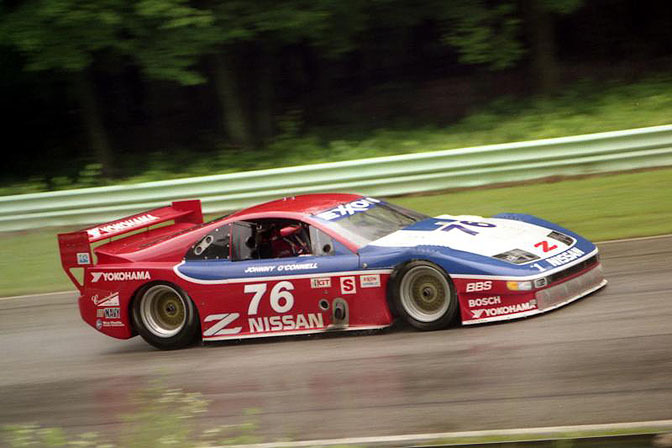 Definately a tough machine, even if it wasn't anywhere near as successful as the original IMSA 300ZX!